Known by the web identity of HomelessGoomba, he became famous as a member of the VenturianTale gaming team. On his personal YouTube channel, he also posted numerous videos of himself solving Rubik's cubes. He created his personal YouTube channel in 2009 and his VenturianTale channel in 2013. His VenturianTale channel has received more than 2.8 million subscribers. 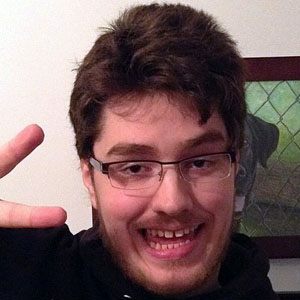 He and his siblings Bethany, Cierra, and Jordan founded the VenturianTale channel. His mother, Paula Frye, is known as Venturiantale Mom.